Bankruptcy attorneys generally charge a flat fee for representation in chapter 7 or chapter 13 bankruptcy. However, the flat fee does not cover everything that may arise in your bankruptcy case. Typically the flat fee will include the services normally sufficient to obtain a discharge. In chapter 7 those services will include drafting the petition, statement, and schedules; representation at the meeting of creditors; and contacting the Trustee and creditors as required. On the other hand, bankruptcy attorneys often exclude representation in adversarial proceedings from the flat fee. When representation in an adversarial proceeding is required, the bankruptcy attorney will charge by the hour. Why Do Bankruptcy Lawyers Exclude Certain Services? Bankruptcy attorneys want to charge competitive prices that nevertheless adequately compensate the attorney for his or her time and skill. Therefore, bankruptcy lawyers charge a flat rate for the bankruptcy services normally sufficient to obtain a discharge. However, there are some cases where more services are required, and in those cases the attorney charges by the hour to pass the extra cost onto that particular client. If the attorney included that extra service in his or her flat fee, the attorney would charge everyone a higher flat fee and force the majority of his clients to subsidize the minority of clients who require that extra service. Bankruptcy is not an automatic process. Just because you pay the bankruptcy attorney does not mean that you can sit back and wait for your bankruptcy petition to be filed. All clients will have to work with their bankruptcy attorney and provide certain documents for their bankruptcy to move forward. For instance, after you hire the bankruptcy attorney you will have to assemble copies of your pay stubs for the past 6 months, itemize your assets, report your debts, and provide additional documentation of your income, liabilities, and assets. 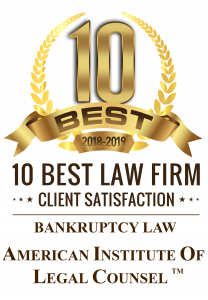 Some clients don’t want to do this and will hunt for a bankruptcy attorney who will give them the least amount of work and charge the lowest rate. In these instances the clients often have difficulty with their case and invite added scrutiny by the Trustee.